Everyone from the front desk personnel to the doctor herself were very caring and attentive. I was taken in within a few minutes of arrival and out in about an hour. A very pleasant and enjoyable experience. The staff is very friendly and professional. Dr Jane takes the time to sit with you and go over any health issues or concerns you may have. You feel she genuinely cares about her patients. Love the new office! Dr. Matos is very experienced and caring. I highly recommend. Great office, excellent Doctor, knowledgeable, caring. My experience was a great one as usual. The staff is very professional and they make you feel welcome. 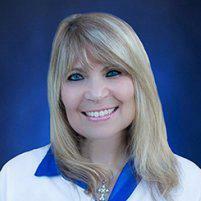 Doctor Dr. Jane Matos-Fraebel is awsome. She went above and beyond for me.. God send people in your life for a reason and she is.. The staff was phenomenal... I loved how Dr. Matos sat with me prior to examination. Beautiful clinic! My experience at New Life OBGYN was a positive one. The staff was willing and ready to offer assistance with care and professionalism. Dr. Jane Matos-Fraebel is one to be admired. She is a professional who exhibits a passion for what she does. Dr. Matos shows me she cares and understands my reason for visiting her office, asks specific questions and listens to me . Her objective is not just addressing my physiological needs but my total well being. These are the qualities we expect to see in our health care providers and this is what makes her SPECIAL. Thank you. Excellent Doctor, very pleased with the staff as well. Dr. Matos is patient, and takes her time going over your concerns- I am in good hands. I like the new office VERY CLEAN, the staff was really nice. I was greeted by Dr.Jane Matos with a big hug. Dr.Jane Matos NEVER makes you feel like you're just a number she really cares about her patients and takes her time. Felt very comfortable and love the service. The best. From the moment you are seen to the moment you leave, you actually feel like they care. Dr. Matos-Fraebel takes the time to actually speak with her patients, listen to their concerns and address them with patience and understanding. It is a pleasant experience even though we are sometimes dealing with a delicate situation or stressful encounter. I would definitely recommend this office to anyone in search of a compassionate Doctor. Best Ob doctor ever. She is so compassionate and go over everything very carefully . She is simply the best. So happy I found doctor Matos . Staff is always nice. My experience at Dr.Matos-Fraebel's office is always a great, stressfree experience. Although this appointment is not my favorite Dr. Matos and her staff make it more comforting for me from the time I check in to seeing my doctor. I will never go anywhere else. Thank you Dr. Matos and your staff for al your hard work, friendliness and support. God bless. Office was friendly and doctor was great! felt very comfortable.